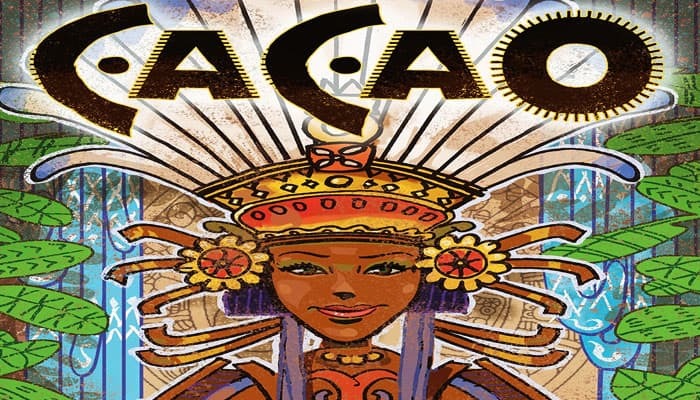 Cacao is a worker-placement tile laying game where players lead their tribes to fame and wealth by growing and trading in cacao. The game feels familiar to Carcassonne. The players have a stack of tiles with zero to three worker icons on each side. They build with the tiles the board and activate the jungle tiles with their worker tiles, getting cacao, trading it for money, getting water, mining gold and bring offers to the gods. 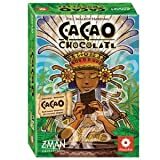 The goal of the game is to earn the most gold, most of which comes through the sales of cacao, but with a significant swing coming from the water track or from temples.